Cantex Schedule 40/80 Reducer bushing is designed to fit into the bell end of a conduit to reduce the diameter to the next smaller size. It has a trade size of 1-1/2-Inch x 1-1/4-Inch. 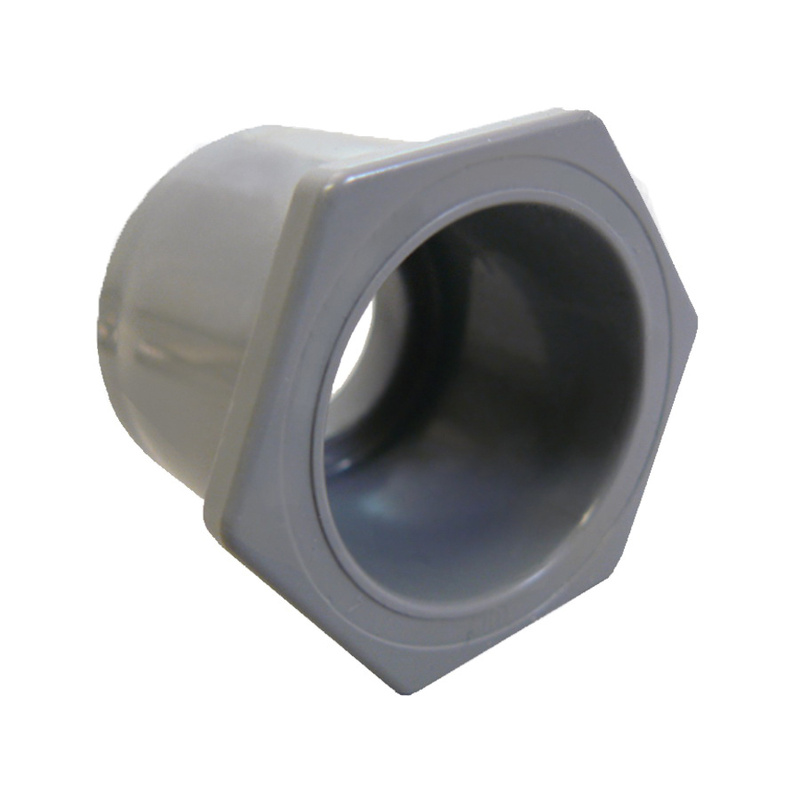 This 1.392-Inch thick wall reducer bushing in gray color, features non-conductive rigid PVC construction that offers resistance to rust and corrosion. It has a dimension of 1.655-Inch ID x 1.900-Inch OD. Reducer bushing is UL listed and CSA certified.